Some favourite books read this year. 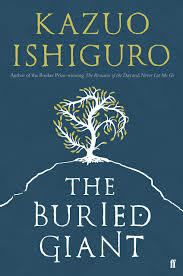 This book delves into the dangers of forgetting and the pain of remembrance. An elderly couple seeks to visit their son in his village far away. A boy has been kidnapped by ogres and is rescued by a Saxon warrior. And an aged Arthurian knight and the Saxon warrior search for a dragon that has crippled their land with a magical mist. The elderly couple have forgotten their past and no one can understand the connection between the characters. An interesting depiction of love and family. How would you react if your long dead son returned looking just as he did before he died? A well written book about grief, loss and love beginning with the return of Jacob, the son of Harold and Lucille Hargrave. Then others begin to return. 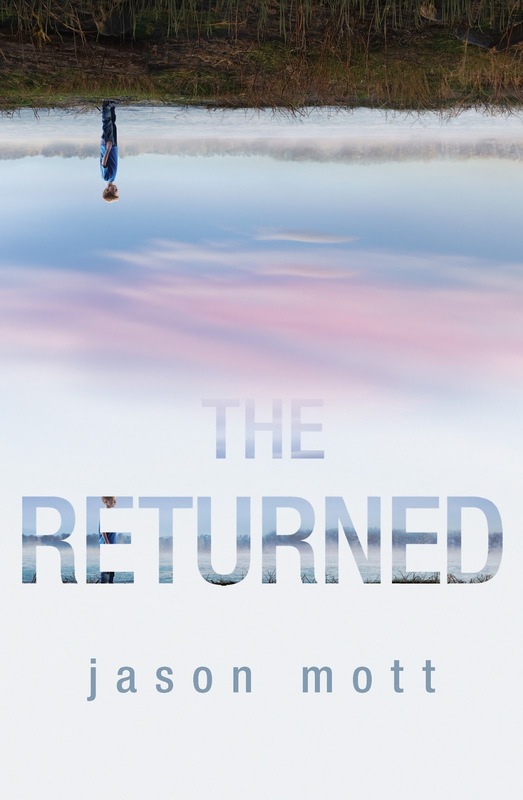 Rather than focusing on the returned, the author chooses to focus on the living and how they might react should their loved ones return to pick up as if no time had passed at all. Not a zombie in sight. 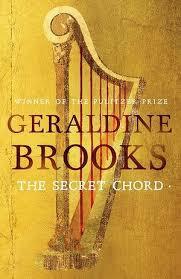 Geraldine Brooks latest book is her version of the life of Biblical David. Many readers will know that David killed Goliath and became the King of Israel but this story is about how David's actions impacted on the people surrounding him. One of the other main characters, a prophet called Natan connects many of the other characters and events. A well written story of biblical times with a good dose of intrigue and action. Loved To Kill a Mockinbird? 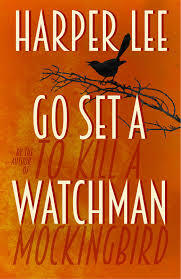 Go Set a Watchman created controversy when it was 'discovered' and published. Is it a sequel to or a draft of To Kill a Mockingbird? Set 20 years after the Civil Rights movement, Scout heads home for her 5th annual visit to Maycomb. I found the plot lacking and the characters ugly but you be the judge. I'd rather remember Atticus the way he was in To Kill a Mockingbird. Scandi crime novels that have taken over the fiction crime world. Set in a small German town, in the shadows of the mountains this is a very dark story about a double murder and the lengths that the locals go to ensure that the truth remains hidden. This is the fourth story of a series where some familiarity with the characters is implied at times but it still stands alone as a good crime read that achieves a good balance between characters and plot. 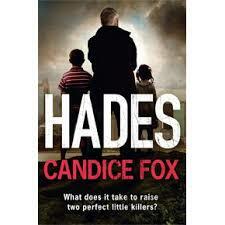 For lovers of crime fiction - highly recommended. This book is for those who like challenging fiction. 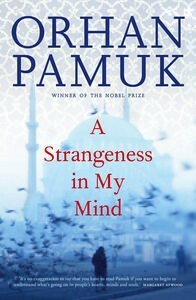 This Turkish author describes the social and political history of Turkey and how Istanbul has changed during the twentieth century through the daily lives of ordinary characters. This story follows migrants from villages who seek a better life in Istanbul. We follow Melvut from childhood to manhood as he struggles to feed his family in a rapidly changing world. A cast of other characters add their points of view to create a rich picture of these times. I really like this talented authors engaging style. 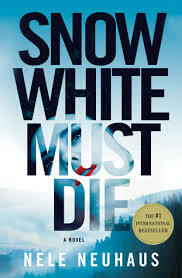 This much hyped book evoked mixed reviews. Many people loved it and many found it disappointing. The characters in this thriller are totally unlikable people. The author uses many red herrings though it was still easy to guess who did it fairly early on. The central character Rachel gets the reader to think about how much we assume and prejudge other people with only limited knowledge of them. 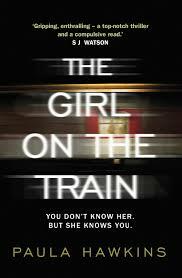 Messy and melodramatic of a well plotted psychological thriller? An abandoned house in Cornwall hiding a seventy year old cold case of a missing child. Interested? This well written book goes back and forth in time. A revelation is revealed, then the story goes back to another time. You have to keep reading to find the answer. For those who can usually work out the answer fairly early on this one takes a while. The ending is a bit too neat but it is still a good read. The fans of Isabel Allende will like this moving account of love, loyalty, relationship across different races and the atrocities of war. The book follows two very different women. Alma is an elderly Jewish woman who escaped to the USA from Poland as a child and eventually ends up in a San Francisco nursing home while the other woman is a young Moldavian immigrant named Irina who cares for Alma at the home. Irina becomes friendly with Alma's grandson Seth and together they work out who has been sending Alma letters and presents. The title of the book gives you a hint. Recommended as a gentle read. This book was originally published in 1952 under the title The Price of Salt. Having seen the recent production of Switzerland which is about the later years of Patricia Highsmith prompted a look at this love story set in 1950s New York. The story is about Therese, an aspiring stage designer and Carol an older woman in the middle of a divorce and custody battle. They fall in love. 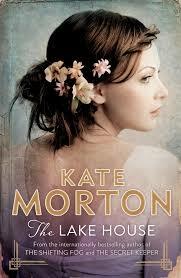 It would spoil the book to say anymore but if you like a different love story this could be the book for you.